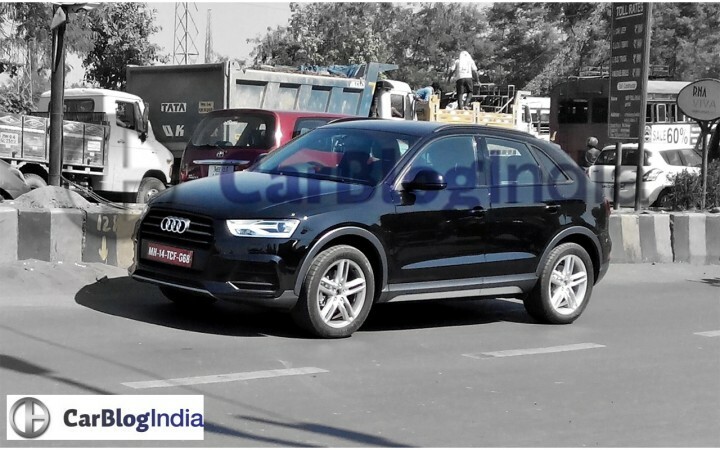 The Audi Q3 facelift will be soon launched in India and the new model was recently spotted testing in our country by an eagle eyed reader of Car Blog India. 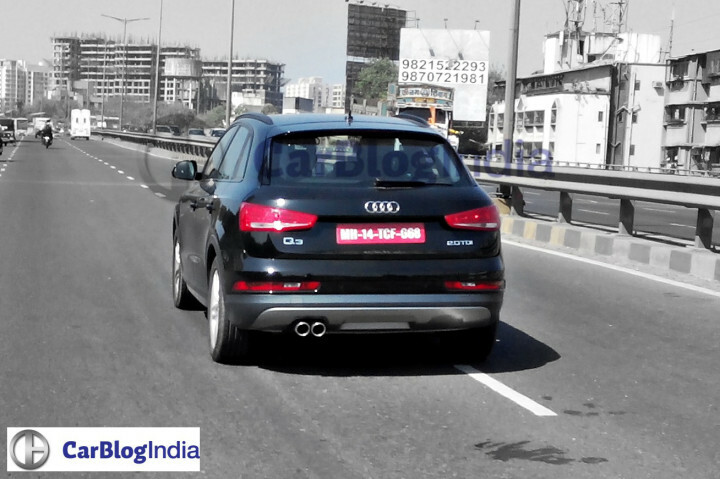 The 2015 Audi Q3 facelift India launch is likely to happen in June, which means the refreshed car shouldn’t be too away from us. The 2015 Audi Q3 Facelift sports the new front-end design that can be found on all the latest Audi production cars. Thanks to a revised front-end styling, the updated Q3 looks a lot more modern and appealing than its current version. The new front-end gets what Audi calls as the ‘Singleframe’ grille, a new front bumper and LED headlights. At the rear-end. it gets LED taillights, dynamic turn indicators and new alloys. On the inside, the car is likely to remain largely unchanged and at best could get some additional features. It is being said that the price of the updated Audi Q3 will be almost the same as the current model. The entry-level 2015 Q3 could go on sale for INR 30 lacs, while the top of the line variant could have an asking price of INR 40 lacs. Nothing is expected to change in the engine department. which means the 2015 Q3 will come with a 2.0-litre turbocharged diesel engine that will be mated to a Seven-speed dual-clutch automatic transmission.